12 Foods to make sure are organic! You can reduce your exposure to pesticides by as much as 80% by avoiding the most contaminated foods in the grocery store. Pesticide residue is a fact of modern agriculture: Not all the pesticide used to kill bugs, grubs or fungus on the farm washes off under the tap at home. Government tests show which fruits and vegetables, prepared typically at home, still have a pesticide residue. The Environmental Working Group takes that government data and publishes an annual list of the Dirty Dozen, those foods most likely to have high pesticide residues. This year, celery takes the number one spot, and both blueberries and spinach make an appearance (displacing lettuce and pears). The best way to avoid pesticide residue on foods is to buy organic produce; USDA rules prohibit the use of pesticides on any crop with the certified organic label. Celery has no protective skin, which makes it almost impossible to wash off the chemicals (64 of them!) that are used on crops. Buy organic celery, or choose alternatives like broccoli, radishes and onions. Multiple pesticides (as many as 62 of them) are regularly applied to these delicately skinned fruits in conventional orchards. If you buy strawberries, especially out of season, they’re most likely imported from countries that use less-stringent regulations for pesticide use. 59 pesticides have been detected in residue on strawberries. Can’t find organic? Safer alternatives include kiwi and pineapples. Like peaches, apples are typically grown with the use of poisons to kill a variety of pests, from fungi to insects. Tests have found 42 different pesticides as residue on apples. Scrubbing and peeling doesn’t eliminate chemical residue completely, so it’s best to buy organic when it comes to apples. Peeling a fruit or vegetable also strips away many of their beneficial nutrients. Can’t find organic? Safer alternatives include watermelon, bananas and tangerines. With 33 different types of pesticides found on nectarines, they rank up there with apples and peaches among the dirtiest tree fruit. Can’t find organic? Safer alternatives include, watermelon, papaya and mango. Peppers have thin skins that don’t offer much of a barrier to pesticides. 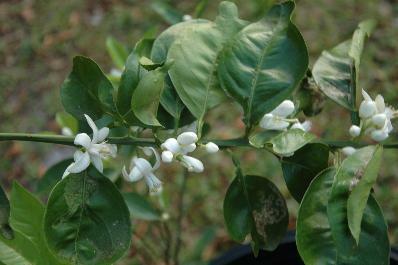 They’re often heavily sprayed with insecticides. (Tests have found 49 different pesticides on sweet bell peppers.) Can’t find organic? Safer alternatives include green peas, broccoli and cabbage. Traditionally kale is known as a hardier vegetable that rarely suffers from pests and disease, but it was found to have high amounts of pesticide residue when tested this year. Can’t find organic? Safer alternatives include cabbage, asparagus and broccoli. Even locally grown cherries are not necessarily safe. In fact, in one survey in recent years, cherries grown in the U.S. were found to have three times more pesticide residue then imported cherries. Government testing has found 42 different pesticides on cherries. Can’t find organic? Safer alternatives include raspberries and cranberries. America’s popular spud re-appears on the 2010 dirty dozen list, after a year hiatus. America’s favorite vegetable can be laced with as many as 37 different pesticides. Can’t find organic? Safer alternatives include eggplant, cabbage and earthy mushrooms. 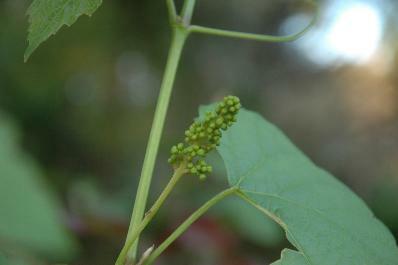 Imported grapes run a much greater risk of contamination than those grown domestically. 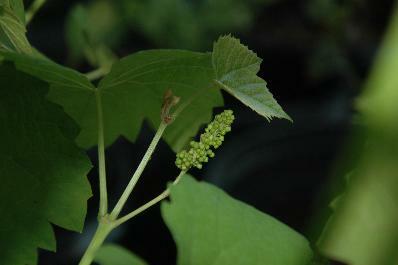 (Only imported grapes make the 2010 Dirty Dozen list.) 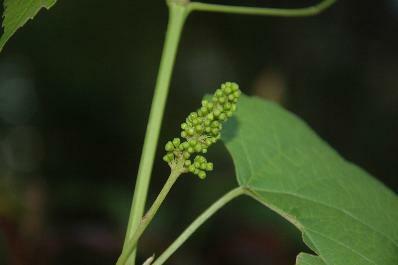 Vineyards can be sprayed with different pesticides during different growth periods of the grape, and no amount of washing or peeling will eliminate contamination because of the grape’s thin skin. Remember, wine is made from grapes, which testing shows can harbor as many as 34 different pesticides. Can’t find organic? Safer alternatives include kiwi and raspberries. I’ve been using this product so far this season, with marked results over the control plants. I’ve seen what seems to be enhanced germination rate, and 50% greater growth. We’ll see what fruit results bring. Garden Tip: Allow new plantings a few days to settle in, then begin using at the rate of two teaspoons per gallon of water every other time you water. 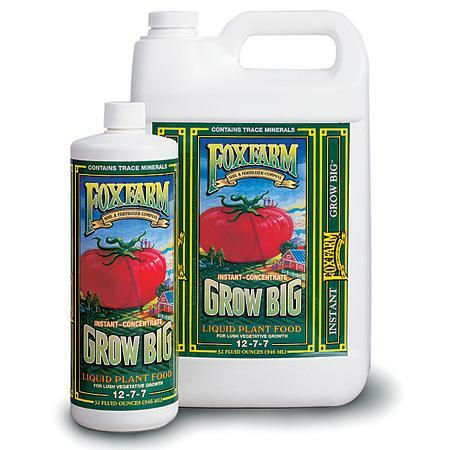 You can also use Grow Big® as a foliar feeding, applying to both sides of leaves, preferably early in the morning. At the first sign of flowering, switch to Big Bloom™ Liquid Plant Food. For more ideas, check out our complete feeding schedules here. • Organics appear to promote weight loss by reducing your exposure to chemical pesticides which bind to fat and once absorbed may stay in the body for a lifetime (over 350 chemicals can accumulate in our body fat!). • Organic fruit and vegetables contain up to 40 percent more antioxidants. • Organic food also had higher levels of beneficial minerals such as iron and zinc, critical minerals in the development of a child’s brain. Additionally, according to the Institute for Responsible Technology, un-organic crops like corn and soy that have been genetically engineered to be more profitable now contain chemical toxins in their seeds, which may be why these crops are banned in Europe, Australia, Japan, Russia and almost 40 developed countries around the world! They may also contain hidden allergens that might be contributing to the allergy epidemic. So What Does “Organic” Mean? And What About “All Natural”? Because the U.S. lags behind other developed countries when it comes to food safety, understanding label claims can often be a challenge for even the savviest shopper! • 100 percent Organic — All ingredients are organic. • Organic — 95 percent or more of the total ingredients are organic. • Made with Organic Ingredients — At least 70 percent of the ingredients are organic. • Genetic engineering which appears to introduce novel proteins, allergens, viruses and toxins into crops. • Fed only 100 percent organic feed, are not the offspring of cloned animals and have never been administered growth hormones or antibiotics. In addition, their meat must never be irradiated. • Natural (or All Natural) meat or poultry products contain no artificial ingredients and are minimally processed. They are not necessarily organic. • “No hormones administered” or “no antibiotics added” is sometimes seen on labels, but it can only appear if the producer can document the absence of hormone or antibiotic administration. • Free-range or free-roaming poultry have access to the outdoors without a minimum time. They are not necessarily organic. • Cage-free poultry means nothing as most chickens are kept indoors (but cage-free) if they are grown for meat. Comes from animals that were fed 100 percent organic feed and were not given antibiotics, prophylactic drugs or genetically engineered and synthetically created growth hormones (such as rBGH) for at least the last year. rBGH (recombinant bovine growth hormone) is a genetically engineered, synthetic chemical protein hormone vaccinated into cows to artificially boost their milk production. Like aspartame, rBGH has been banned in Europe because of the breast cancer risk that it may present. • Produced by hens that are fed 100 percent organic feed and have never been given growth hormones or antibiotics. • Cage-free eggs are produced by hens that are not confined in cages. The hens might not have access to the outdoors, though, and are not necessarily organic. The USDA currently has no guidelines set for seafood; however, un-organic fish is often caged underwater and treated with pesticides to prevent the spread of disease. Cereal and grain crops are regularly sprayed with pesticides that collect in the grain’s outer layers, raising concerns about chemical residues in un-organic bread, cakes and cookies. * Natural is often a misnomer. There are no true guidelines for this term when used on a packaged product, although it is used frequently and often assumed to mean organic or healthier. * Gourmet is another misleading term that leads consumers to believe that they are purchasing a product that is made finer ingredients, when in reality it has no established guidelines or regulations. • Consumer demand for organically grown foods and livestock products are increasing. 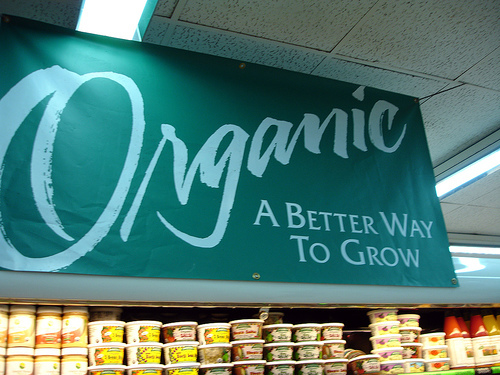 Sales of organic products are the fastest growing sector of agriculture. Sales continue to grow by over 20% annually and have shown an annual increase of at least 20% during the last 6 years. • Large corporations such as McDonalds (with organic milk being sold in Sweden), Lufthansa, Swiss Air and Nestlé are positioning their products and services to cater to the organic consumer. • Thousand of corporations are targeting consumers worldwide by adding organic foods to their product lines. • Since October of 2002,organic farms must undergo an annual inspection by a licensed Certifier to determine if the they’re operating under specific guidelines to be certified as producing organic foods and livestock. • Organic farming can actually save farmers money and give them significantly better returns on land and resource utilization as compared to conventional farming. Conventional farming uses more petroleum than any other industry and consumes almost 12% of the United States energy supply. • It can take up to five years for a conventional farm to convert to organic farming. • If a product falls under 100% Organic Certification, you can be assured that there are no GMOs (Genetically Modified Foods) in that product. • It’s estimated that conventional farmers use over 300 different pesticides to grow (non-organic) foods which are sold in virtually all supermarkets worldwide. • Organic Aquaculture worldwide is a booming business. Over 20% of all shellfish, an estimated 15 trillion metric tons are produced by Organic Aquaculture Farmers. China is the largest producer of these products. Aside from these known facts and current statistics on organic farming, there are numerous inherent benefits that both the organic farmers and consumers of their products receive to improve on health, quality of life and longevity. • Organic farming is a science within itself that conventional farmers can learn while they transfer their capital resources and skills to master a trade that can be even more profitable than conventional farming. • Researchers in the United States have found that by following organic farming methods, conventional farmer’s can actually reduce production cost by over 25%. This is accomplished by eliminating the use of synthetic fertilizers and pesticides, minimizing soil erosion by up to 50% and increasing crop yields up to five-fold within five years. • Regardless of products produced, a well planned transition strategy will allow conventional farmers to adopt new, more effective organic farming process in as little as three to five years. • Organic farms can support substantially higher levels of wildlife especially in lowlands and where animals can roam pastures or graze on grassland. Not only does wildlife benefit, but entire ecosystems and ground water are improved by simply following organic farming methods. • Organic farming practices not only benefit farmers and consumers; but the dairies can benefit. When dairies feed their cows organic feed and graze them on organic fields, the cows experience better health, less sickness, diseases and ultimately produce better tasting milk for consumers. • Organic farming promotes soils that are teaming with life and rich in micro nutrients which can be used for decades to grow crops virtually year round in many parts of the world. • Consumers purchasing organically grown foods can taste the difference and see the quality of virtually any organic product they buy. Regardless of minimal price differences, consumers can smell, taste and see the difference in the quality of organically grown food products. • Consumers buy organically grown food products not just because of competitive prices, but due to the increased availability of organic food products as seen in both grocery and organic food specialty stores. • Organically grown products are free from harmful chemicals, artificial flavors and preservatives that ultimately cost consumers money when they purchase non-organically grown products. You can always taste the difference between organically grown and conventionally grown products. • Eating organic foods may in fact, reduce the risk of heart attacks, strokes and cancer for individuals who abstain from consuming products produced by conventional farming methods. Biochemist are continually researching the inherent benefits of organically grown foods and discovering the consequences consuming products loaded with toxins and chemicals which, until recently, have only begun to be introduced to humans. The fact is, you ultimately are what you eat. Its been about 3 weeks since I thought the grapes were dead. They love this weather, and the organic fish fertilizer that I’ve been giving them, I guess. They’ve taken off, and already seem to be starting to produce fruit. 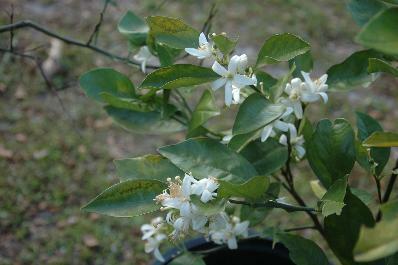 Some of the oranges have started to bloom as well.